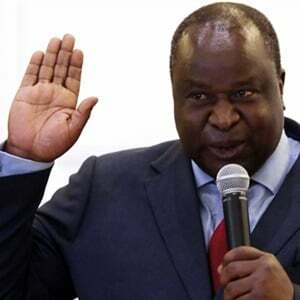 An area that could have received more attention in Finance Minister Tito Mboweni's mini budget, delivered on Wednesday, is the small business space. This is the view of Karl Westvig, CEO of SME funder Retail Capital. "With a declining economy, in small and medium enterprises (SMEs) need to work harder than ever before to ensure their survival, especially with up to 80% of small businesses failing within their first five years," said Westvig. Westvig believes that given the size of SA's economy, a R1.4bn investment from the CEO Initiative's SME fund is relatively small and will have limited real impact. 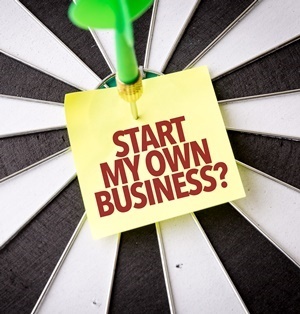 It has been a trying year for small businesses across the country. According to Westvig, the mini budget is "largely geared to government departments and allocation of spending, and has not applied sufficient support to the SME sector, which is a large driver of employment and GDP growth". Westvig told Fin24 Treasury should be "committing more capital to support the private sector business funders who have access to these SMEs, and have the technology to deliver more efficiently and effectively". Westvig says many of the non-bank lenders have innovative models to support them, but require larger balance sheets to have more impact. In his view, government could fill the role as guarantor. Jabu Mabuza, co-convenor of the CEO Initiative, says over the past two years, government, labour and business have made progress on various initiatives to support growth in the economy. This includes the establishment of the R1.4bn SME Fund to invest in the SME sector; a Youth Employment Service (YES) aimed at providing employment opportunities to one million young people; and various investment initiatives in sectors such as agriculture, tourism, manufacturing and healthcare. “We agree with the minister that difficult choices are required in order for our country to prosper in a sustainable way," says Mabuza. "Business remains committed to continue working with the government and labour to do what is necessary for us to create an environment that is conducive to achieving inclusive economic growth that benefits all South Africans." Neil Robinson, CEO of social enterprise Relate Trust, says the crux of the mini budget is executing the plans that have been written. "The problem is that in the past there have been good plans, such as the NDP – they’re there – but they haven’t been utilised properly, and if that’s done with the full inclusion of the entire populace and the economy, it can only but get the economy going in the right direction," he says. He added that in addition to the youth, the elderly – who in his view remain a "massive part of the economy" – must be given more chances, as well as ongoing opportunities to gain social cohesion and develop the country's future youth.